We’re not giving a comprehensive history lesson here, but do want to cover some major events that triggered the boom of 2D platforming. 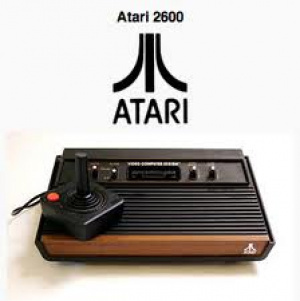 For one thing, 2D gaming as a whole goes back long before the NES arrived in town; an extensive range of gaming machines existed in the late 1970s and early 1980s, with the Atari 2600 being one of the best known. Nintendo didn't dream up the concept of home consoles, but the Kyoto-based company certainly revolutionised them. 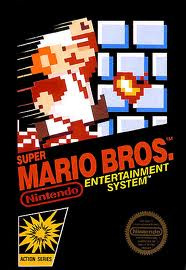 The first game that most people think of when contemplating the birth of 2D platforming is Super Mario Bros. This is hardly surprising — not only was it part of the NES bundle in many territories but it sold in huge numbers across the world. There are many factors behind this popularity: it set a new benchmark for side-scrolling platforming gameplay, boasted impressive graphics for the time, catchy music and most of all was a lot of fun to play. The commercial impact was such that Mario became the main mascot for Nintendo, as they began their quest to take over the video game industry. The reason Mario is a plump shape is because gaming devices at that time could only read collisions between square boxes, not because I wanted to make him cute. His design turned out like that because I adjusted for the capabilities of the gaming device of the day. For example, resolution was low, so I made his face big. But today's game consoles can handle collisions with round or irregular shapes. Nintendo produced a different 2D experience with Metroid; there was platforming, but there was also exploration, weapons and backtracking. 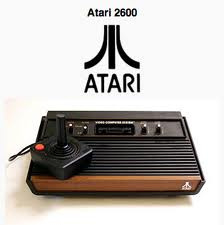 Other developers also started to produce memorable gaming experiences on the humble 8-bit console. Many of the biggest hits fall under the 2D action platformer category, but all utilised their own unique twists to enthral gamers of the time. Castlevania involved whipping monsters and climbing dreaded stairs, Mega Man had an arm-cannon and gained new weapons from boss battles, while Contra was fast-paced machine gunning action. We’re barely touching the surface of the impact that this genre had on the NES, but it’s clear that this definitive console represented the perfect storm of technology and game design to bring 2D gaming into a new age. The prominence of this style of gameplay continued with the Super NES and its major rival the Sega Mega Drive. This was arguably bound by technology restraints once again, as these consoles represented an advancement in graphical capabilities without necessarily changing the fundamental core of game development. The introduction of the N64, and subsequently the much more powerful GameCube, did change the principles of game design. Pixels were out, polygons were in, and 3D gaming was the new craze. 2D wasn’t dead, but gamers wanted open worlds and unbounded movement in a 3D space; Super Mario 64 and The Legend of Zelda: Ocarina of Time setting standards. When the DS and Wii came along, however, Nintendo’s focus and target market saw a noticeable shift, and 2D made a triumphant return.